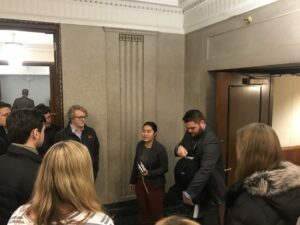 Visiting the Minnesota State Capitol to hear how elected officials are responding to climate change through agriculture. Touring a local farm on a very cold January day! 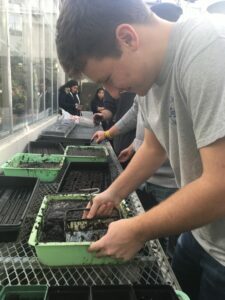 Planting onions in the Nobel Hall greenhouse in preparation for transplanting outside in April. 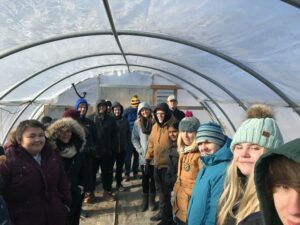 Students in the GEG-150 Culture, Self, and Agriculture 2019 January-term course studied agriculture’s role in society and developed proposals to respond to climate change through agriculture. The course combined themes from last year’s Nobel Conference on soils and the coming Nobel Conference on climate change. Read more about the course here.